Harvard was established in 1636 by vote of the Great and General Court of the Massachusetts Bay Colony. Only seven years later, it created the first endowed scholarship, established with a generous donation from Lady Anne Radcliffe Mowlson. The trend became popular and many wealthy families began establishing scholarships as a way to honor their family or remember a loved one. Beginning in the 1940s, many organizations began establishing their own scholarship programs. Today, thousands of educational, public and private entities provide scholarship opportunities. Belvidere Heritage will host a silent auction during this year's Victorian Days to benefit our scholarship fund. 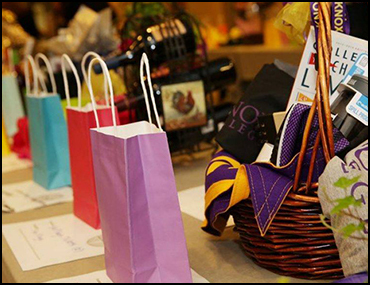 The "Heritage Auction, Bid to Educate", formerly known as "The Gentlemen's Picnic Auction" is designed to provide qualifying high school seniors with financial support as they graduate. Having raised over $50,000 dollars in its 30-year history, this is the single source for financing the scholarship program. The auction's success stems from the dedication of countless volunteers and generous donors, who each year come together to produce a spectacular, fun-filled event for a worthy cause. Businesses and individuals that donate a basket will receive recognition on the basket itself, at the silent auction, and will also be listed on our website. We encourage donors to get creative with both their basket theme and its presentation. Popular basket themes include baking and sundae kits; baby and bath supplies; bar-b-que and picnic tins; candy and coffee packs; family and movie nights; and specialty dinner kits. The Heritage Auction, Bid to Educate will accept bids on Saturday, September 8, from 10:00am to 3:00pm in Garret D. Wall Park. All are welcomed and encouraged to come by as often as you like to enter bids. At 4:00pm from the center stage, winners will be announced. Basket donations will be accepted up until the morning of Saturday, September 8, 2018. Basket donations will be accepted up until the morning of Saturday, September 8, 2018.